WARSAW — A Mishawaka man was sentenced to eight months in the Kosciusko County Jail Monday, April 15, in Kosciusko Circuit Court. 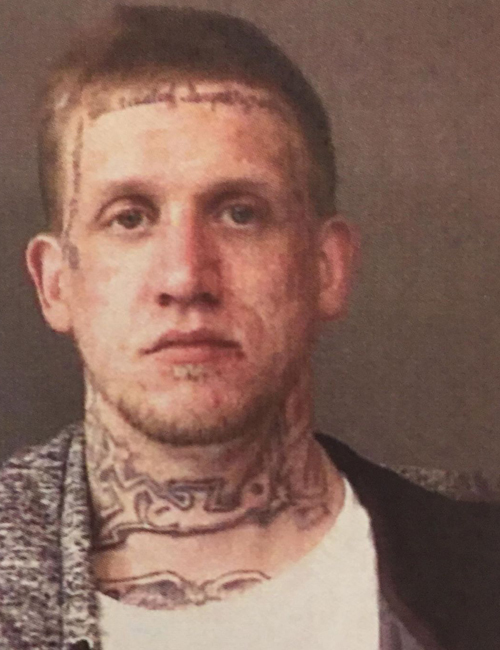 Christopher Aaron Susaraba, 28, 1134 B J Street, Mishawaka, pleaded guilty to possession of paraphernalia, a class C misdemeanor; and failure to appear, a level 6 felony. According to the affidavit of probable cause, on Nov. 3, 2018, an officer with the Warsaw City Police Department was walking near a silver Nissan in the Lassus Handy Dandy parking lot and identified the smell of marijuana coming from the vehicle. The officer noted that the driver of the vehicle was a male and that there were three female passengers. Court documents state that the man drove the vehicle out of the parking lot and began traveling westbound on Dubois Drive, where the vehicle crossed the center line. A traffic stop was conducted and officers identified the driver as Susaraba. Police said Susaraba had an active warrant in St. Joseph County. While officers were talking to Susaraba, he allegedly began to have a seizure and requested water. Susaraba was taken to the hospital by emergency medical technicians. Officers used a K-9 officer to conduct an outer air search of the vehicle, and the K-9 made a positive alert. Inside the vehicle and in several purses, officers reported finding cash, smoking devices and digital scales. Pursuant to a plea agreement, Susaraba was sentenced to 60 days in the Kosciusko County Jail for the possession of paraphernalia charge. For the failure to appear charge, he was sentenced to six months in the Kosciusko County Jail. A remaining charge was dismissed. The sentences were ordered to be served consecutively. Susaraba was ordered to pay court fines and fees. His driver’s license was ordered to be suspended for 60 days following his release from incarceration. Susaraba received 54 days of jail time credit.